The face of the beauty industry certainly seems to be changing. Thought you were handy with eyeliner and concealer? 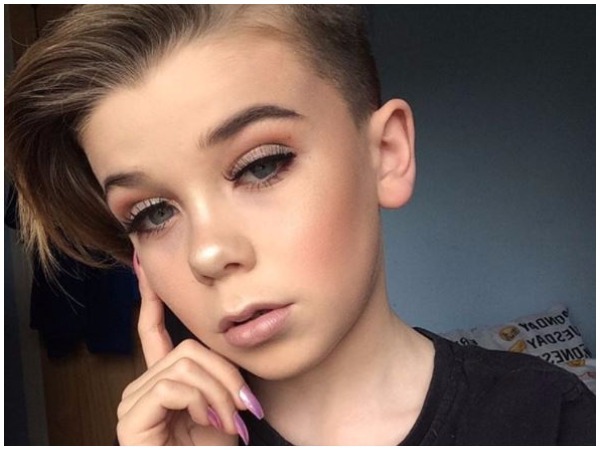 Well, a 10-year-old boy who has the internet abuzz with his killer make-up skills might just show you a thing or two. The British boy, known only by his first name -- Jack, started his Instagram in February this year, but already has almost 70 000 followers. Jack doesn’t seem to need a last name as his make-up skills speak for themselves. His videos will teach you everything from carefully applying eye-shadow to mixing unique shades and contouring cheekbones. Applying false lashes is no challenge for his nimble fingers and in one of his most popular videos – with more than 210 000 hits – Jack shows you how to create a dark, smoky look for your eyes. As always, despite his success, there are those who reckon Jack’s too young to be experimenting with make-up – and that it’s inappropriate because he’s a boy. The littel boy wears nail polish on his long nails and often uses the hashtag #makeuphasnogender with his posts and the online hate doesn’t seem to bother him in the least. There’s been a lot of love for what he’s doing too. “Hey Jack! I really appreciate what you do, because you have such a large follower amount [sic] and you show that makeup is for everyone and anyone can rock it,” a fan writes. But another reckons Jack’s parents are “misguided” by letting him do this and that “the parents are the big problem here”. Another fan of Jack’s looks at it from a practical perspective, saying the boy should be allowed to indulge his love of make-up – and that he can make bags of money doing it. “Most makeup artists start doing makeup on themselves first and when you go to cosmetology school or any special effects makeup program, you start by applying the makeup to yourself,” the fan writes. Though the youngest, Jack certainly isn’t the only male online make-up sensation. American James Charles (18) is world famous and has more than two million Instagram followers. He’s also one of few men who’s represented beauty brands in advertisements, appearing in campaigns with singers Katy Perry and Zendaya.